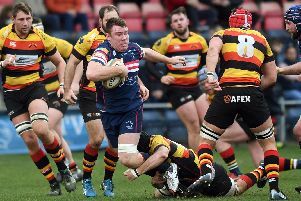 One of the main targets at the start of the season within the Doncaster Knights’ camp was to make Castle Park a fortress again. Following a series of disappointing results last season - albeit the sad death of prop Ian Williams being a contributory factor – there was a determination within the Doncaster ranks to rectify the situation this term. But that has not proved to be the case to date and Knights go into their first home game of 2019 having won just once at Castle Park in the Championship. It is currently the worst home record in the league and you have to go back to the second week of the campaign for the club’s last league win at Castle Park. The club’s poor home form played a massive part in ending the first half of this campaign, earlier this month, languishing in the bottom four. 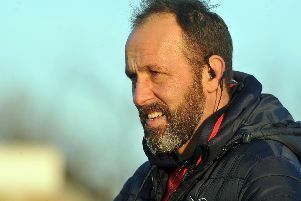 “We know our home form hasn’t been good enough and we hope to put things right in the second half of the season starting with Saturday’s visit of Richmond,” said director of rugby Clive Griffiths. Like everyone connected with Knights, Griffiths is proud of the facilities – not least the new £400,000 pitch which came into use last season. “The problem is that with the pitch being like a carpet teams love coming up here, especially those who like to play rugby,” said the Welshman. On the back of successive away wins, and having beaten struggling Richmond in the capital, Griffiths says Knights will go into the game in a confident frame of mind. “The way we’ve played in our last two games we have looked more like a top four than a bottom four side,” he said.